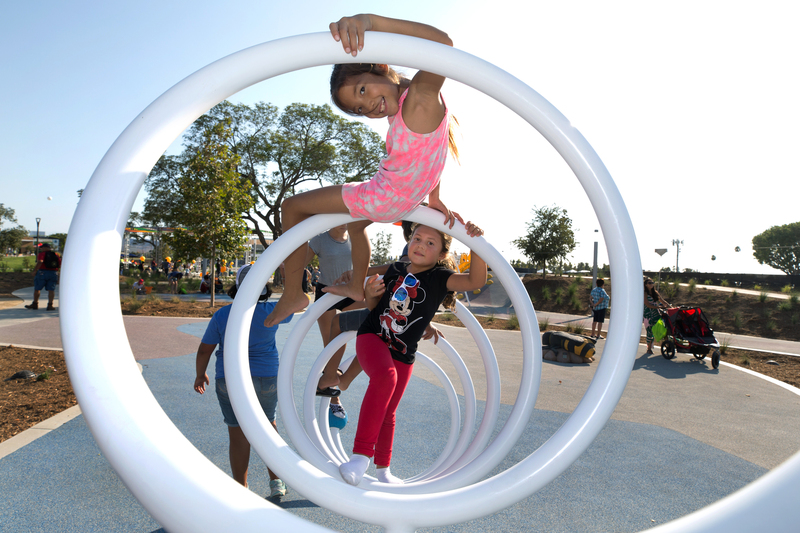 The Orange County Great Park features facilities, programs, on-site amenities, and attractions that reflect the City of Irvine's dedication toward historical preservation, sustainable practices, and family-friendly activities. See a list of things to do and see at the Great Park below. For a more detailed breakdown of current features at the Great Park, visit our Current Great Park Features web page. For information on camps and ongoing recreational programs at the park, visit the Camps & Activities web page. For current special events at the Great Park, visit ocgp.org/events. The Great Park Balloon is the Orange County Great Park’s iconic attraction, holding up to 25–30 passengers and soaring 400 feet above the surrounding landscape. Learn more about the balloon, flight hours, and tickets here. An Orange County tradition, updated with vintage-inspired scenic artwork, is a favorite for kids of all ages. Learn more about the carousel, operating hours, and tickets here. A unique hands-on outdoor agricultural classroom featuring themed planters and information displays. Learn more about the Farm + Food Lab here. Every Sunday from 10 a.m. to 2 p.m., the Great Park Certified Farmers Market offers fresh, locally grown produce; handcrafted artisan products; and gourmet food trucks. 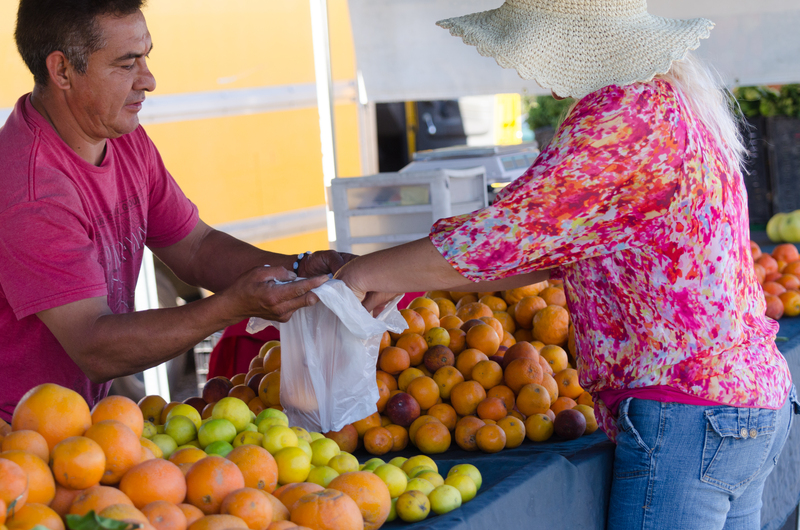 Learn more about the Certified Farmers Market here. The Great Park features various themed playgrounds across multiple locations, including newly opened play areas near the Sports Complex, and Kids Rock, which aims to educate young guests about conservation ecology and the water cycle while they have fun. For more information, call the Visitors Center at 949-724-6247. Preserving El Toro’s World War II era atmosphere and architecture, the Palm Court Arts Complex now serves as the park’s cultural campus, supporting the development of fresh and interdisciplinary, public arts programming. It includes the Great Park Gallery, Great Park Artist Studios, and the Heritage and Aviation Exhibition in historic Hangar 244. See the latest art exhibition on display, learn about the Great Park's history, and more. Learn more at ocgp.org/arts. 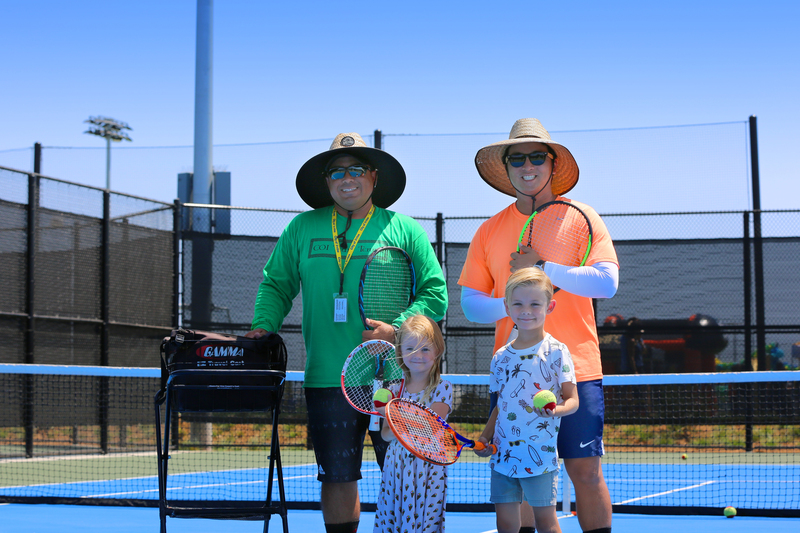 Enjoy professional soccer games, work up a sweat on drop-in courts and fields, rent free athletic equipment, or learn a new sport through City classes at the 194-acre Great Park Sports Complex. The complex features spaces for tennis, volleyball, soccer, baseball, softball, and general fitness. Learn more at ocgp.org/sportscomplex.